Android devices are smart mobile devices. They’re actually mini computers more portable than netbooks or laptops. But, their power requirements aren’t as mini as we’d hoped them to be. Many Android users frequently bewail the battery life of many Android devices. Yet, used in moderation — and, with energy-saving habits practiced by the user — an Android tablet’s or phone’s battery life can last longer than originally intended. How do you make your battery last longer so you can use your device longer? These connectivity features eat up some of your battery power even if they’re idle, and they eat a significant amount of power when they’re not. A frequently vibrating device also tends to lose power faster. Haptic feedback refers to the shaking that happens on your device as a result of some interaction or activity on the device. Such feature uses a small vibration motor, which, in turn, eats up power. Do you really need your device to vibrate every time you touch the screen or every time a notification arrives even if the device is on your desk? It’s wise to turn on haptic feedback only for important UI interactions (e.g., typing on the keyboard) or when your device needs to be in your pocket. You can use Android’s built-in Power Control widget to quickly toggle most of the energy-draining features such as Wi-Fi, Bluetooth, GPS, Autosync, and Auto Brightness. Just place the widget on your homescreen and tap on the toggle buttons as needed. 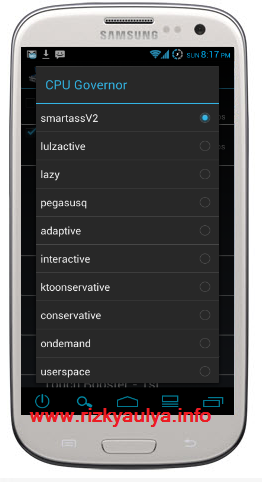 This free and ads-free app lets your device perform actions according to triggers that you associate them with. For instance, you can set it to disable certain features (e.g., Wi-Fi, Bluetooth, GPS, etc.) at certain hours of the day. Get the paid version for more flexibility with the triggers, actions, and rules. This app, although having no free or trial version, is extremely flexible. It works in a similar way to AutomateIt. You can set your device to perform tasks/actions (e.g., disable network services) according to “contexts” that you specify (e.g., time of day, day of week, etc.). This app is specifically written to help users lower battery consumption and squeeze more power out of their devices’ batteries. The default profile targets the most battery-sapping components (e.g., mobile data [3G/4G], Wi-Fi, and the like), but you can customize the settings further according to your needs. Greenify help you identify and put the misbehaving apps into hibernation when you are not using them, to stop them from lagging your device and leeching the battery, in an unique way. They can do nothing without explicit launch by you or other apps, while still preserving full functionality when running in foreground, similar to iOS apps. If you must connect to the Internet, and you have a choice between connecting via Wi-Fi or mobile network, choose the former. Mobile data connections sap your battery power faster than Wi-Fi. The reason has something to do with the relationship between strong network signal and distance from the transmitter. Since Wi-Fi presumably is closer to you, you tend to get a stronger and more stable signal, therefore reducing the needed energy to power your phone’s antenna. So, when connecting to Wi-Fi, stay in a place with the strongest signal. This way, your phone’s antenna won’t need to work so hard to get a stable network signal, saving you some battery power. The same is true for your carrier’s network signal. The better the reception signal is, the better it will be for your battery life. Also, it’s a wise idea to disable your phone’s Wi-Fi hotspot feature if it’s not being used. This feature also eats up a lot of power. Instead of letting your apps sync their data automatically, choose to do it manually. Or, at the very least, enable autosync only for those apps that really need it. The logic behind this is that when an app is scheduled to sync, it will look for an active Internet connection — and the process uses power. When it finds a connection, it will connect and start syncing even if there is nothing to sync — this part uses power, too. Either set apps to sync manually or set them to sync less frequently. And, you’d want to sync over a Wi-Fi connection instead of 4G/LTE or mobile data network. Certain apps such as Facebook, Twitter, RSS readers, Instagram, and the like can be set to fetch fresh content or updates in intervals. The longer the refresh interval you specify, the better it will be for your battery life. To be more economical, set the app to never refresh automatically; instead, do the refreshing by hand. The same principle applies to homescreen widgets, especially those that need an Internet connection to work. If possible, don’t place such widgets on your homescreens. If not possible, be very selective. Weather widgets, for example, look nice and fancy, but they need to update weather data from their servers, consuming power along the way. You can lessen the frequency of such updates, or remove the widget entirely. The same principle also applies to ad fetching in ad-supported apps. These apps use power to download ads and upload user data for location-specific advertising. Where possible, opt for ad-free apps, whether paid or free. Disable or minimize notifications and alerts for apps that you don’t need those for. If all of your apps alert you every time a notification or update comes in, your battery can drain faster than usual. To send you notifications, apps run in the background to pull information from their servers, and consume power in the process. If you have a device running Android 4.1 or 4.2 Jelly Bean, you can go to Settings > Apps, switch to the All tab, view each app’s info page, and uncheck the “Show Notifications” option. Generally speaking, more light means more power used. Applied to phones and tablets — the brighter your screen, the more power is used. When you are indoors, set your screen’s brightness level to the lowest setting that is most comfortable to your eyes. You don’t usually need the extra brightness indoors, and your battery life will be happier for it. Other people suggest using the auto-brightness feature, which can be handy. But, for the auto-brightness feature to work, the light sensors need to work and consume some minimal power to detect the ambient light levels. So, it’s actually counterproductive. To save some more juice, shorten your screen’s timeout. If you normally have your screen sleep after five or ten minutes, lower it down to 30 or 15 seconds. Keeping your screen on for a few more minutes without using it will waste battery power needlessly. Live wallpapers are all nice and pretty. They’re actually a big reason why some people ditch other mobile OSes and stick with Android. But, live wallpapers can also take a toll on your device’s battery life. As far as I know, there’s no consensus about how much drain live wallpapers inflict on the battery, but one thing is certain: they consume power because they use CPU and GPU resources to animate. And, then, there are the poorly coded live wallpaper apps, which can potentially eat more battery power than you bargained for. If you can live without the stunning eye candy, you can probably save a bit on battery life. This tip may not have much effect on LCD-screened devices, but for devices using OLED screens (including AMOLED screens, such as those on many Samsung mobile devices), darkness can be a saving grace for your battery. Unlike on LCD displays, the pixels on OLED screens produce their own light. The brighter the pixel is (as in the case of white), the more power is used. Black is practically an unlit pixel, so it uses no energy. Thus, the darker your screen or its background, the less power the OLED pixels use. Based on that explanation, you might want to use a black wallpaper and a dark theme on your OLED-screened Android device. It can save you some juice. You could also squeeze a little bit more juice by turning off Location Services (usually found in Settings > Location Services). You might want to prevent apps from using your location info. You will also most likely want to disable the “Location and Google Search” option (or “Wi-Fi and Mobile Network Location” option on some phones) to prevent your device from using Wi-Fi and/or mobile networks for triangulating your precise location and sending the data to Google servers. The process, needless to say, requires power. Keep an eye on apps that use data in the background. Some apps, such as the Play Store and Gmail apps, continuously collect and send data in the background. You can restrict such background usage of data — per app — and your battery will be the happier for it. But, you can also perform a blanket restriction in Settings > Data Usage; tap the Menu button tick the “Restrict Background Data” option to enable it. You can also enable per-app restriction by opening each app’s info page. Some apps are resource-intensive — either by nature (as in the case of games) or by developer incompetence or negligence (as in the case of poorly written apps). You need to be vigilant about how your various apps consume battery power. A quick trip to Settings > Battery (or, on some devices, Settings > Power > Battery Use) will usually reveal which app or service is sucking most of the juice. Identify apps that constantly drain CPU and battery life. Poorly coded apps that connect to the Internet even when they’re not supposed to should be uninstalled, as should apps that needlessly use up a huge amount of CPU resources. Replace these apps with better developed ones rather than endure running on lesser and lesser battery each day because of “mischievous” apps. To help you pinpoint apps that are misbehaving, you can use apps such as Watchdog Task Manager Lite. Instead of telling you to free up your memory, this app alerts you when an app starts hogging up your CPU power when it’s not supposed to. Also, keep your installed apps up-to-date. App developers send out updates to provide bug fixes, add new features, and even lessen battery consumption. So, make sure to update your apps regularly; doing so can help in extending your device’s battery life. As for apps that you don’t use, or that you rarely use — what are they still doing on your device? Get rid of them. Your storage will be all the more spacious without them, plus you’ll be getting rid of apps that potentially run battery-eating background services. If you use your device constantly throughout the day, you may want to consider using your device’s power saving mode. In fact, many of the tips suggested in this post are implemented in most devices’ power saving mode. For instance, power saving mode usually limits CPU use, reduces screen brightness, deactivates haptic feedback, disables data network when the screen is asleep, and lowers the brightness level of the browser’s background color. The generally recommended advice is to disable power saving mode when you intend to use your phone’s smartphone features; otherwise, turning power saving off can help you stretch your battery life further. So, for instance, you might want to disable power saving mode if you plan to play games on your phone, or else you could experience lag or jitter. Rooting may have drawbacks but the benefits far outweigh them. One attractive advantage of rooting is that of possibly improving your device’s battery life. Rooting itself won’t lengthen your battery life. Rooting merely opens the gates to your device’s restricted partitions and directories. With such restriction gone, you can remove useless apps (e.g., bloatware from carriers or OEMs), especially those that run as background services, wasting away precious battery power. With root access on your device, you can also install apps that can improve your system’s performance. A CPU controller app, for instance. Three names instantly spring to mind: SetCPU for Root Users, No-frills CPU Control, and CPU Tuner. Apps like these essentially allow you to tweak the CPU settings on your device. You can set the CPU frequency to stay at the lowest (and, as a result, use up the least power but sacrifice device performance) or to stretch the CPU to its maximum limits (resulting in better and faster performance, but at the price of heat, quick battery drain, and potential system instability). Be careful when using such apps. There are risks involved; for example, your device could behave erratically when its CPU clock is set higher than usual. And, since in all likelihood your phone has also acquired an unlocked bootloader and custom recovery in the process of rooting it, then you’ll also be able to enjoy the blessings — the power-saving blessings, in this case — of many custom kernels and custom ROMs. Feel free to look around Android Authority for guides on how to flash custom kernels or custom ROMs to your particular device. If you’re one of the very rare few who use their Android devices heavily throughout the day, you might consider buying a spare original OEM battery — that is, if your phone or tablet has a removable pack. We strongly recommend OEM batteries because they tend to outperform and outlive third-party battery packs — even those with higher capacities. You can also consider third-party high-capacity extended batteries (for devices with removable batteries) and portable “juice packs” (for devices with non-removable batteries). High-capacity extended batteries, however, tend to be bulkier and thicker. Be careful when buying third-party battery packs. Only buy from reputable manufacturers who have already established a good reputation in the market. Keep Li-ion batteries away from hot or warm places, especially while charging or when in use. Generally, don’t completely drain a Li-ion battery before recharging. Bringing the battery level down to zero before recharging is detrimental to the battery — if done frequently. Li-ion batteries work better when charged even while they still have some power left. Every once in a while, allow the battery to discharge fully before recharging. Experts recommend doing this after every 30 charge cycles. This reportedly prevents “digital memory” and encourages the battery level monitor to recalibrate. Unplug the device when it is fully charged. Don’t leave the device plugged in for a long time after it is fully charged. Doing so can harm the battery. Do not subject your device and its battery to prolonged heavy use (e.g., non-stop intensive gaming for hours). Doing so will encourage the battery to deteriorate faster. Battery life is one of the big things that we look out for when examining prospect devices to buy. Yet, we should never fall into the delusional trap of a limitless supply of Android battery power. Even batteries have their limits, you know. If we consider those limits, and adjust our usage habits accordingly, we just might be able to squeeze more power out of our battery packs. How’s the battery life on your Android device? How long does your device last before it needs charging? How do you conserve power on your Android device? Share your thoughts in the comments. Governors adalah skema yang digunakan oleh kernel untuk menentukan bagaimana mengontrol frekuensi prosesor HH kita. Dan ini sangat penting dan berpengaruh dalam hal penghematan batere atau peningkatan perfomance Android kita. Untuk mencoba semua governor ini kernel kamu harus support. Berikut ini plus minus bermacam2 Governor yang tulis oleh N7van dan tips menghemat batere menggunakan setCPU dari Hafidzurrahman. plus: Better performance and speed. Powersave memaksa CPU jalan di frekuensi minimum secara konstan, gag selalu jalan minimum hanya memaksa sebisa mungkin di frequensi minimum. Ondemand: cepat banget untuk menaikkan frekuensi dan menurunkannya, saat booting frekuensi berjalan sangat cepat, namun setelah booting langsung turun ke skala terendah, sangat bagus untuk keseimbangan battery dan perform, Ondemand dengan kata lain menyetting frekuensi CPU sesuai kebutuhan. plus: Good performance,good battery life. minus: CPU frekuensi secara konstan naik atau turun mendadak, menyebabkan menguras power dibandingkan frekuensi yang di set frekuensi middle. Conservative ini berlawanan dengan Interactive dan berbeda dengan Ondemand (yang secara mendadak naik turun frekuensi dengan cepat). jadi frekuensi CPU di scaling Conservative untuk meningkat ke frekuensi paling tinggi, Conservative naik secara lambat, namun untuk turun ke frekuensi terendah bakal seperti terjun bebas. plus: Secara teori sih battey life lebih bagus dibanding Ondemand karena naik tidak secara mendadak, menaikkan frekuensi CPU kalo bener” memang dibutuhkan. minus: karena pelannya menaikkan frekuensi, ini berarti saat launching aplikasi atau booting device bakal sedikit ngelag dan lambat. Interactive lawan dari Conservative. ke max frekuensi cepat, namun saat turun ke frekuensi terendah turun secara perlahan. Hampir sama dengan Interactive, tapi secara otomatis menurunkan maksimum frekuensi di CPU saat phone Idle ato sleep. plus: better battery life than Smartass. Perubahan dari Smartass. Perlu diketahui, governor ini sangat digemari di quarter 3-4 ditahun 2011.untuk developer, SmartassV2 sangat nyaman, kecepatan menurunkan frekuensi sama dengan Conservative. SmartassV2 lebih sering berjalan di frekuensi middle, sejauh ini yang saya lihat rata” bejalan di frekuensi 518Mhz, naik ke frekuensi lebih tinggi secara bertahap, namun tidak sampai terjadi lag. LagFree secara mendadak berjalan di frekuensi tertentu setelah hh idup, sistemnya sama dengan Conservative. namun saat down-scalling sangat lambat, butuh beberapa detik untuk menurunkan scaling. Versi tweak dari governor interaktif, biasanya ditambahakan fitur suspend/wake/deep idle. berguna untuk menyimpan daya tahan batere saat HH dalam keadaan screen off. versi tweak dari governor OnDemand yang biasanya udah ditambahakan fitur wake/suspend/deep idle. 1. Gunakan kernel yang disertai dengan berbagai macam governor. Nilai Max = clock standard HH (contoh : Galmin = 600MHz, Gio = 800MHz, XMP = 1GHz). Kalo menggunakan nilai yang lebih kecil lagi (underclock) bisa menghemat batere, namun performa akan terasa sedikit “lag”. Biasanya daya tahan batere bisa meningkat, hal ini disebabkan oleh management penggunaan procie yang lebih baik pada saat screen on dan menggunakan clock procie yg lebih kecil pada saat screen off. (dalam keadaan default, besarnya clock procie yang digunakan dalam keadaan screen on sama dengan pada keadaan screen off.